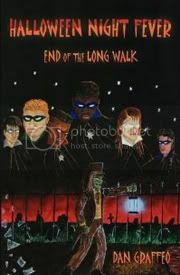 I have to be honest when I say that I was a bit baffled when I set out to read Halloween Night Fever: End of the Long Walk, the first release in a planned five-part series, though, oddly enough, chronologically the third book in the series. Dan Graffeo’s book, with its rather bizarre superhero cover, sounded like an unintentionally off-the-wall novel. Several people in the town of Sleepy Owl begin having similar dreams and pull pieces of caribou skin out of that dream into real life. They form a secret society called the Pniese and spend each Halloween night keeping an eye on the dark things that cross over to the land of the living. It sounded juvenile. Then I started reading it, and realized that it was, indeed, written for juveniles. And in that vein, I was pleasantly surprised. What young’un doesn’t want to read about a group of kids who secretly keep the town safe right under their parents’ noses? The characters were diverse—perhaps even a little too obviously diverse—and had fun, different modes of transportation. Willy Hynes, the protagonist, is a smart-aleck kid who spends more time mouthing off than anything else. And he is funny. The dialogue made me smile several times and is the strongest part of the book. Best of all, this is a book that will engage that hard-to-reach niche: boys. There’s action. An undead villain. Older mentors, secret names, and typical Halloween creatures shown in a different light. I’ve already suggested this book to a few boys who struggle with reading. Halloween Night Fever: End of the Long Walk is engaging without being too difficult, and is just a fun read all around. Silly, sure. And that was half the charm of it. 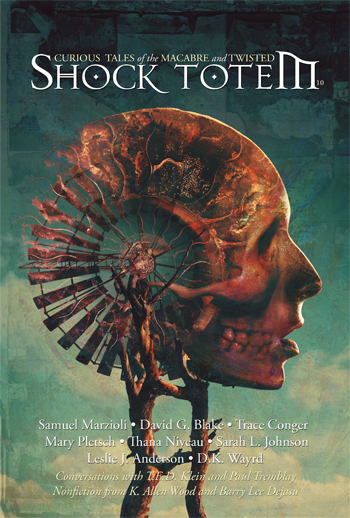 This entry was posted in Blog, Book Reviews, Reviews and tagged Dan Graffeo, Dreams, Getting Boys to Read, Halloween Night Fever, Halloween Stories, Kid Fiction, Mercedes M. Yardley, Secret Society, Superhero. Bookmark the permalink.